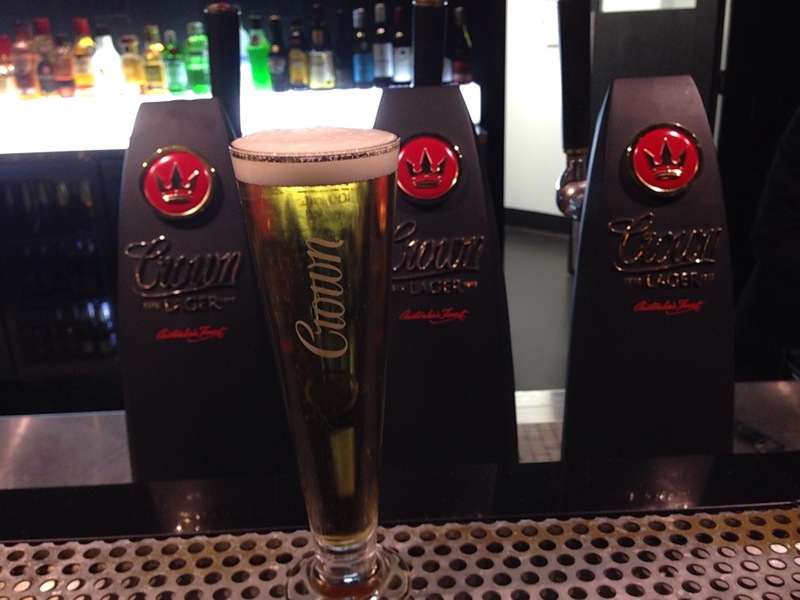 The Crown Lager Bar – for when Qantas dicks you round in Melbourne. Today’s been a long day. On the 6am to Melbourne and the 6.30pm back to Sydney. It hasn’t been Qantas’s finest day but the detail is dull. 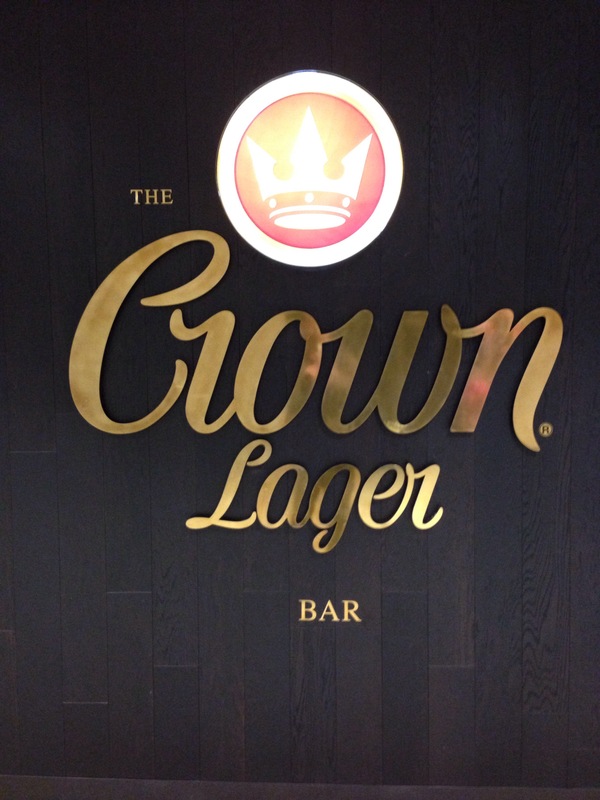 Qantas’s inability to provide accurate guidance on departure and boarding meant that I discovered the Crown Lager Bar in the Melbourne Qantas Domestic Terminal. It is a smart place worth finding. They advertise that they show sport and iThey serve a cold beer. 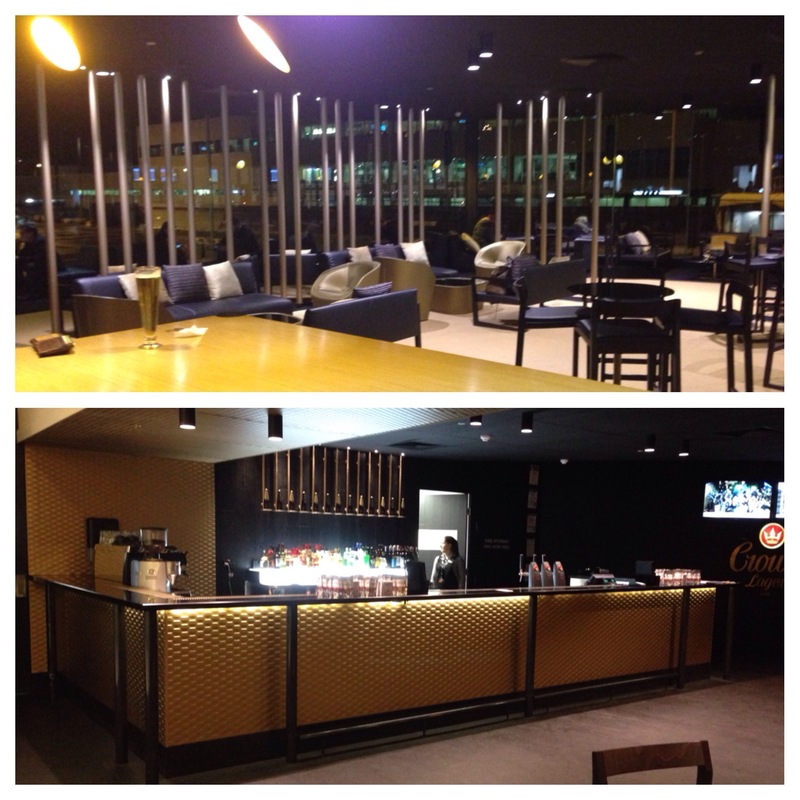 Not surprisingly The Crown Lager Bar is a temple to Crown Lager. 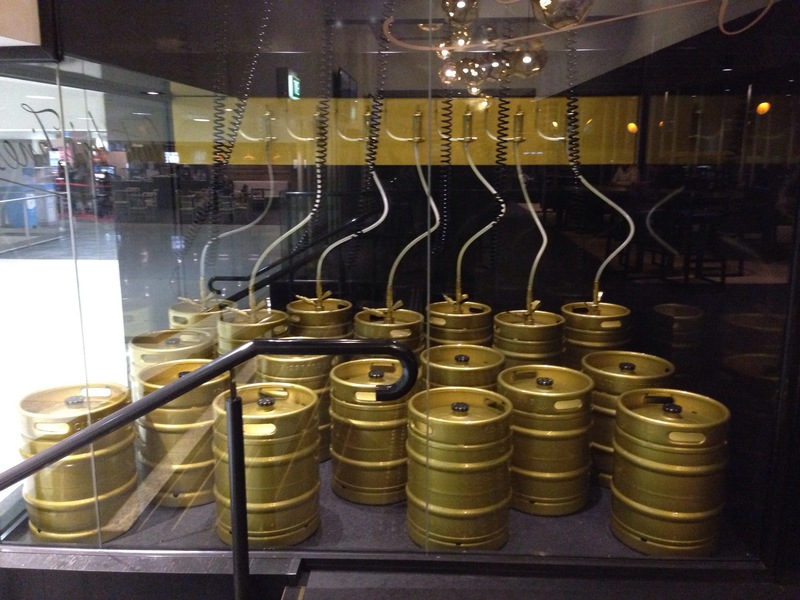 From the gold kegs in the glass menagerie at the entrance, to the Crown gold and black colour scheme which is applied to tables, chairs and poles to the three taps all pouring Crown Lager – this bar is on a singular message (except I think you can also get a Crown Gold in a bottle). There are drink options for people that want something other than a Crown (cider, wine, spirits), but that won’t change the colour scheme. This is a smart looking place and will definitely become popular particularly if Qantas get prematurely trigger happy on “Go to Gate” announcements.